Christmas dinner is a time for family, fun and, most importantly, food! But if you've served the same meal year after year after year, it can start to get a little old. Bring some excitement into your festivities this season with an alternative Christmas dinner menu. From new variations on old favorites to creative desserts and seafood or steak instead of the usual ham, this list of the 15 best alternative Christmas dinner ideas is the place to discover unique new recipes. 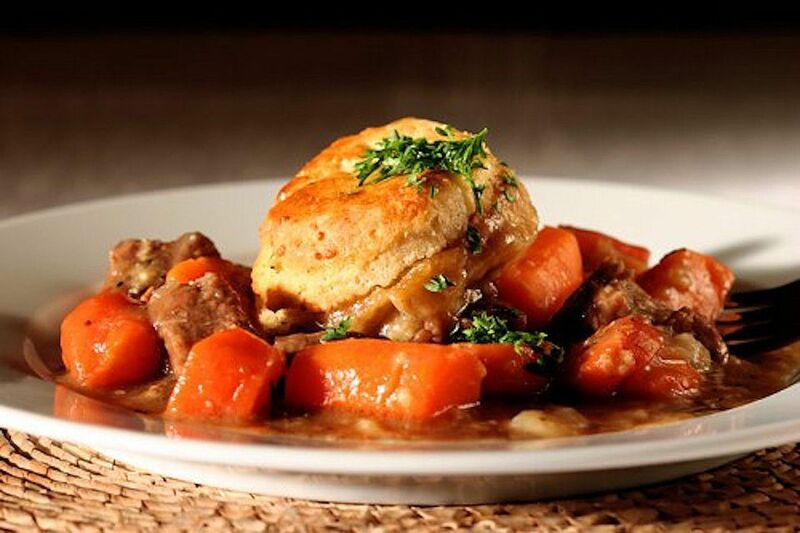 Skip the lamb stew or casserole and dig into this delicious take on a classic savory cobbler with lamb, redcurrant, carrots and rosemary. This makes for a fantastic main dish at any Christmas party or dinner when you're looking for something a little unique but still special for the holidays! For a fun twist on a classic Christmas beverage, add some toffee to the mix! Toffee is a delicious addition to regular or spiked eggnog. This recipe even details how to make your own toffee syrup, right at home! This mushroom barley soup is just as delicious as it is healthy. With great fiber and macrobiotic properties, this soup will be a hit at the dinner table. This recipe is vegan, but for meat lovers, chicken broth or other stock can easily be substituted in. 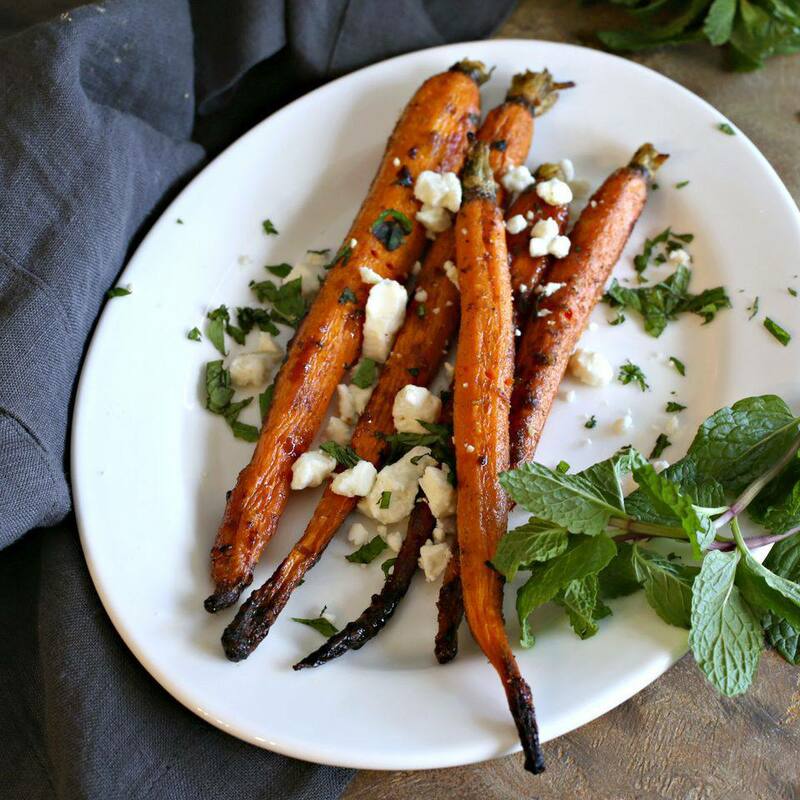 If your family loves maple sugar glazed baby carrots, take this Christmas to the next level with these honey glazed Moroccan carrots. Serve with labneh yogurt dip anc crumbled feta cheese for an authentic experience! If you're sick of the same old Christmas desserts year after year, up your game with this dried apricot tart, complete with chocolate tahini ganache. The latticework pastry crust in the photo is a Star of David pattern, which also makes it perfect for Hanukkah! Whoever said macaroni and cheese wasn't a holiday dish? There's no reason not to incorporate your favorite meal into a holiday dinner, especially when you've got any picky eaters in the house. Mac and cheese is a great alternative holiday dish that won't break the bank. This recipe is the best we've seen–be sure not to forget the bread crumb topping. Pasta is an underrated holiday side dish, and so is seafood. Bring the two together for an unforgettable Christmas main, with shrimp, scallops, crab and lobster all mixed in. Garlic white wine sauce finishes this linguine off in style! This shrimp and crawfish jambalaya can feed any number of guests, and gives the holidays a New Orleans twist! Use smoked paprika to season this dish and you have an instant Christmas hit. Give your holiday meal a British twist with this roast rabbit with bacon and turnips recipe from across the pond. This is the perfect winter dish for a family gathering or just a night in at home. Bone in rabbit is delicious, tender and warms you right up! I donut think there is a better flavor combination than maple and bacon, do you? These maple glazed sweet potato donuts are absolutely to die for, and bring all the delicious tastes of the holiday into one amazing dessert. These are perfect for after Christmas dinner or for Christmas morning brunch! If tuna is chicken of the sea, then bass can be a great alternative to ham or roast beef! For the feel of Christmas by the ocean, try this incredible grilled sea bass with garlic butter. This fish is a show stopper, and an awesome dish for a pescetarian holiday! Sweet potatoes are such a classic holiday meal, but the same old recipes get way too overused. If you're hosting an afternoon party or maybe a Christmas movie marathon, grilled sweet potato nachos are the dish for you! With a delicious selection of winter berries, the Figgy Sparkler cocktail is an exciting and flavorful holiday drink. Use your favorite prosecco or other sparkling wine, and top off with some cranberries and an orange peel and you're set for the evening! This recipe is naturally gluten-free and easy to make in large batches for big family gatherings. Rice pudding is a totally underrated dessert, and is perfect for the holidays. Adding coconut and spice to the dish really takes the flavor to the next level, and gives your dessert a bit of a spicy twist! For an unbelievably easy and off-the-beaten-path main dish, check out this sheet pan chicken, sweet potato and broccoli roast. Skip the hours-long production of cooking a ham or roast beef and use this easy recipe for a stress-free holiday.